Sil-Pro is a contract manufacturer serving the healthcare, aerospace and defense industries. We are an ISO 13485:2003 and ISO 9001:2008 registered contract manufacturer specializing in the design and development, manufacturing, assembly, and packaging of silicone and thermoplastic devices, components, and precision machined parts. We provide vertical integration of our core capabilities and feature in-house tooling, machining and automation teams. We bring our expertise to each program and partner with our customers from concept to commercialization. Sil-Pro is proud to serve and the healthcare industry and other "mission critical" industries. Our products offer innovative solutions that are unmatched in quality and confidence - one part at a time. Medical device design and product development requires experience, skill and an understanding that Sil-Pro successfully provides. 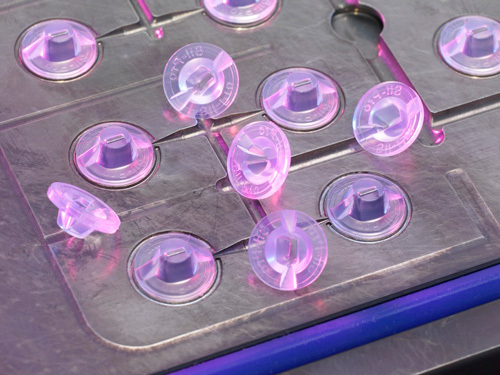 Our engineering teams have years of experience with the complexities of medical device manufacturing. We provide a deep understanding of manufacturing technologies to build defect-free products for our clients. Our New Product Development (NPD) team is made up of Program Managers, Project Engineers, Process Engineers, Manufacturing Engineers, Quality Engineers and Customer Service Representatives. By partnering with customers from concept to market, we create a produce complex, innovative medical devices while maintaining your budget and timeline. Sil-Pro’s vertically integrated capabilities allow customers to utilize our knowledge and proven engineering expertise in silicone, thermoplastics and precision machining disciplines. We leverage these capabilities to provide supporting solutions in all facets of contract manufacturing. By practicing Design for Manufacturability (DFM) standards, our team of experts review designs and look for minor changes that could prevent significant problems in manufacturing, often leading to a reduction in cost and a higher quality product. Sil-Pro specializes in close-tolerance, precision medical machining for device components and assemblies. We are experienced in working with a wide variety of materials including A286, stainless steel, titanium, graphite, PEEK and other specialty plastics, metal & alloys. Sil-Pro has engineering expertise, quality management systems, supply chain proficiency, components finishing & assembly capabilities. From concept to commercialization, we provide you with complete support to maximize yield, speed and cost. Our electric hydraulic hybrid injection molding machines, ranging from 40-100 tons, yield unmatched accuracy and efficiency. Our in-house automation team has outfitted our presses so that you can reap the benefits of automated functionality without the extra cost. 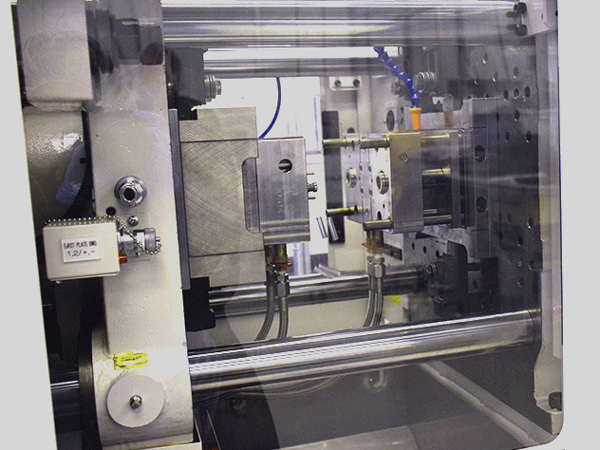 We take on insert molding and over-molding projects to reduce secondary operations. With a wide variety of engineering resins in stock, we are ready to take on your next project. Sil-Pro offers LIM and compression molding of LSR and HCR materials from several suppliers for short term, long term and non-implant applications. Sil-Pro has your molding requirements covered with our silicone molding platforms ranging from 5 to 90 tons. We offer in-house tooling for quick turn prototyping available in low, medium and high volumes. Sil-Pro also offers fully automated production platforms. Our expert silicone extrusion department uses closed loop feedback from a Laser Micrometer that can meet the most demanding dimensions and tolerances. Single-lumen, multi-lumen, solid profile or rod tubing are made to order in coils or cut to length. Our extruded silicone can be made distinguishable through a variety of color characteristics, pad printing, identification marks for positioning and lot traceability. Sil-Pro’s in-house automation engineering team can design, manufacture and program equipment to enhance volume production manufacturing. Our automation program allows Sil-Pro to provide a more repeatable, higher quality product with less scrap and lower fall out. Our cells can perform multiple operations: Molding, Part Removal, De-flashing, Post-curing, Slitting, Camera Inspection, Bonding and Assembly. The automated cells can operate unattended and in one value stream within our Class 7 cleanroom.